"Lively illustrations are matched with easy rhymes. ​A just right read-aloud for toddlers." Another busy day has come to an end. Everyone in the family wants something. But what do they ALL want? Listen to what Shaia, age 4, has to say about Baby Wants Mama. Here's an essay about Baby Wants Mama that was adapted for the Family Dinner Project website. And here's a piece that was posted on the Children's Literature Network website. "Sure, 'Baby wants mama,' but everyone else wants something too. Through repetition of a few things, your little toddler will learn about family, a few objects, and the wonderful family dinner table." "... a downright cute book ... While it’s a simple book, it is educational and also gives a feeling of family and warmth." "...the antics involved in a family finally sitting around the table should be shared." "A pleasing read-aloud that many families will identify with." "The story is told through playful interaction between characters and between written word and painted picture. 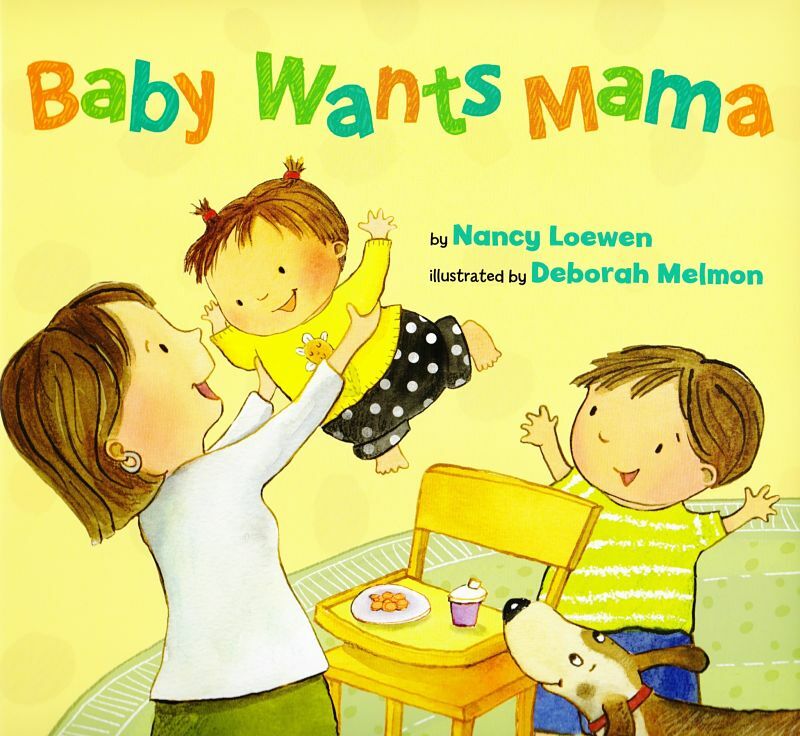 Children age 2 and up will love Baby Wants Mama for a favorite story time."